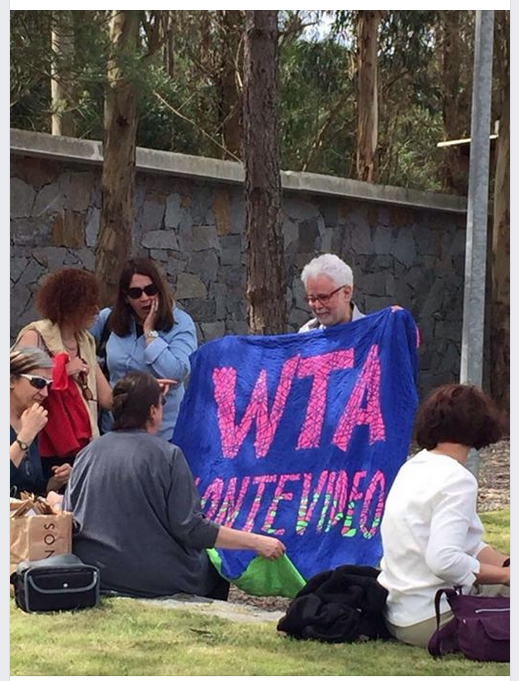 Some people have told me they find the WTA 7th Biennial “so expensive” ($80). Being the largest in Central/South America, it keeps an enormous number of textile artists going, showing and creating, in addition to encouraging comradery and communication among them. WTA pays a lot of attention to sensory and textile development in children and persons with visual impairment. Its social work is constant, and important. Its biennials are enthusiastic festivals full of participation, fun, workshops, conferences, and field trips. The same enthusiasm escapes into the city where these activities are being held, making the public notice and attend the shows in a much more attentive way. 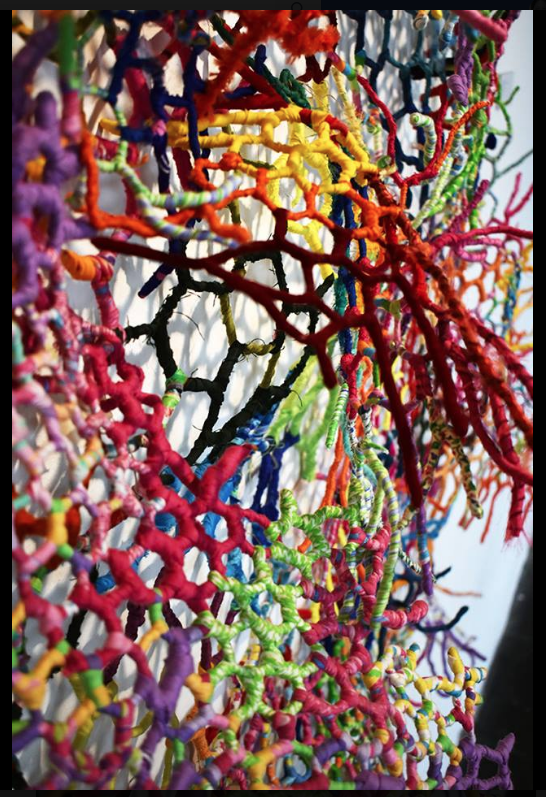 Artists who participate in this type of exhibits usually have to conform to format and date specifications, pay their entry fee, subject themselves to being judged, and if accepted they pay for transportation of their work. Therefore, WTA is serious about the importance to promote the event, show lots of pictures, and make sure that participants have a wonderful experience. It is a give-and-take where the selected artist gains needed recognition and support. Those of us who have been in WTA biennials in the past, are really excited about the upcoming 7th in Uruguay 2017. If you’re into textiles, you should consider it, too! 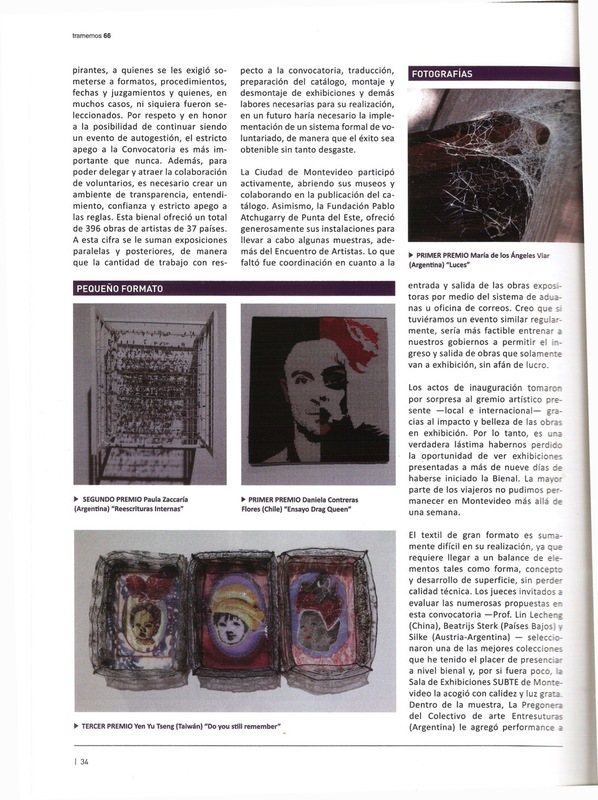 Hay quienes me han dicho que consideran la VII Bienal “tan cara” ($80). 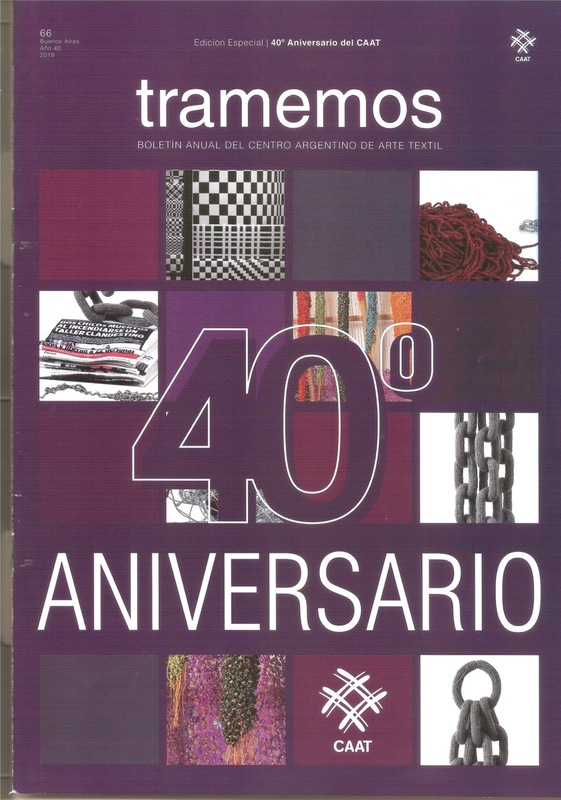 Por ser la más grande en Centroamérica y Suramérica, mantiene a un gran número de artistas textiles activos, creando y mostrando, además de promover camaradería y comunicación entre ellos. WTA pone mucha atención al desarrollo sensorial y textil en niños y en personas con discapacidad visual. Su labor social es constante e importante. Sus bienales son festivales entusiastas, llenos de participación, alegría, talleres, conferencias y paseos de campo. Ese mismo entusiasmo se escapa hacia la ciudad donde se realicen sus actividades, logrando así que el público aprecie y participe con más atención. 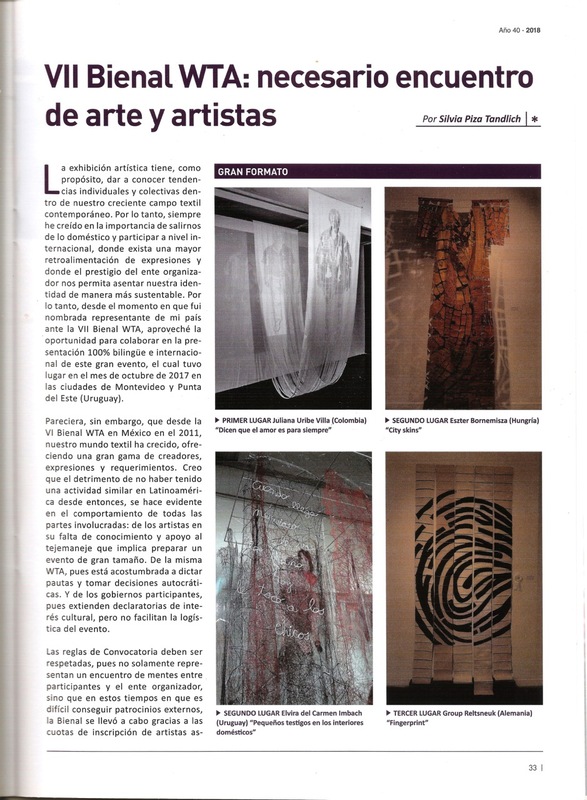 Los artistas participantes en este tipo de exposición, normalmente deben ajustarse a especificaciones de formato y fechas, pagar la cuota, someterse a ser juzgados y, de ser seleccionados, deben pagar por el transporte de su obra. Por eso, la WTA toma seriamente la importancia de promover el evento, mostrar muchas fotos y asegurarse de que los participantes tengan una maravillosa experiencia. Es un dar y recibir donde el artista seleccionado obtiene su necesario reconocimiento. Quienes hemos participado en bienales WTA en el pasado, nos sentimos emocionados por la próxima VII en Uruguay 2017. ¡Si el textil es lo tuyo, debieras pensar en participar! As of June 18th, 2016 Teatro Solís—the 160 year-old theater—is presenting an anniversary show in its PhotoGallery: A graphic retrospective of the patrimony of all Uruguayans. 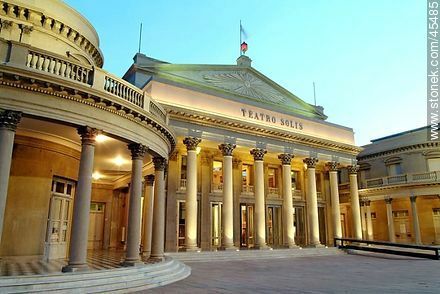 Inaugurated in 1856, this stately landmark has treasured the artistic and cultural life of Montevideo, incorporating new forms and languages along the way, and developing audiences. With the founding of its CIDDAE Center for Research, Documentation & Presentation of Scenic Arts, the Solís becomes an important asset in the field, with preservation, protection, and communication as important goals. 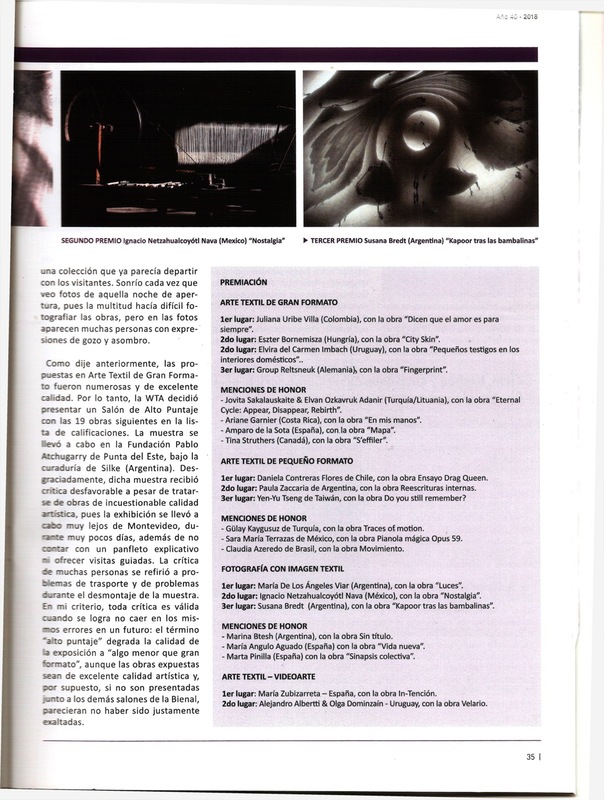 However, it is important to remember that alongside theory, Teatro Solís has state-of-the-art technology, and offers a fantastic opportunity in the arts as well as quite an experience for the public. 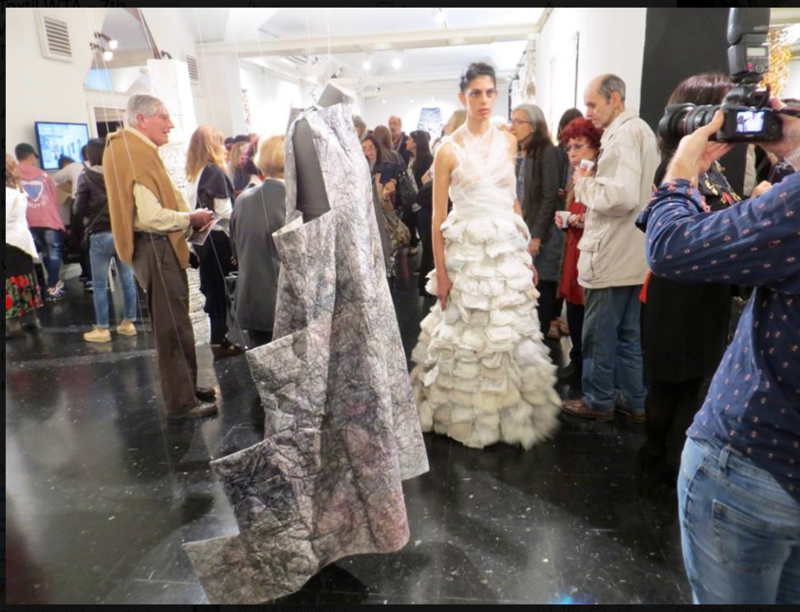 In October 2017, the 7th WTA Biennial of Contemporary Textile Art will take place mainly at the Teatro Solís. Numerous other venues will participate during this event, but the Solís will house the main shows. The Small Format Textile Art Salon as well as the Photography With Textile Theme Salon will take place at the Exposition Hall at Teatro Solís, and all works will approach the scenic/performing arts theme—contemplating theatre (puppets, circus, clown, street theatre, cabaret, recital, concert,) carnival and/or any endeavor related to those arts. 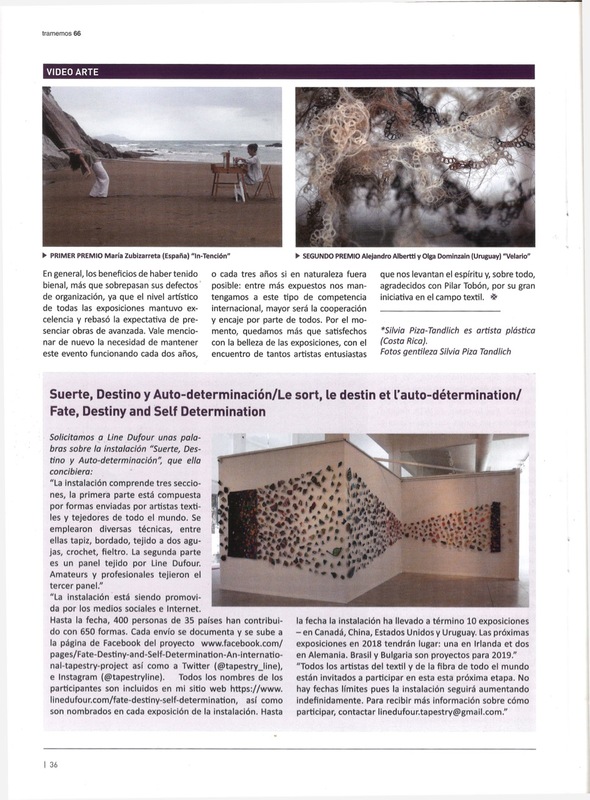 Also, due to the variety of expression mediums to which artists have access nowadays, the 7th WTA International Biennial of Contemporary Textile Art looks to broaden the field of participation by proposing as a challenge, to venture into electronic mediums by way of an art video or “VideoArt,” making reference to textiles in any of its possibilities. A Large Format competition will also be presented.